Order within 20hrs 6mins for delivery Monday 22 April using next day delivery at checkout. 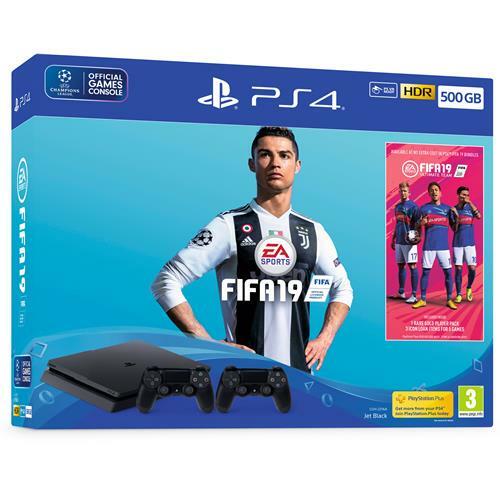 Experience the prestigious UEFA Champions League with HDR quality graphics in FIFA 19 on PlayStation 4. 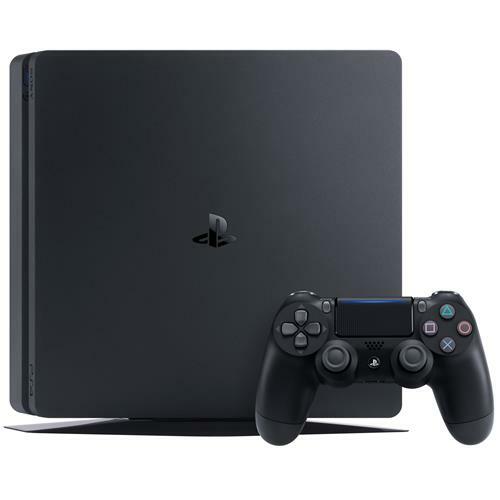 This Jet Black 500GB PS4 bundle includes twovmatching Jet Black DUALSHOCK 4 wireless controller and FIFA 19 on Blu-ray Disc. Also features exclusive digital content for limited access to some of the best FIFA Ultimate Team players on the planet, along with a special guide to help create a winning FUT squad. 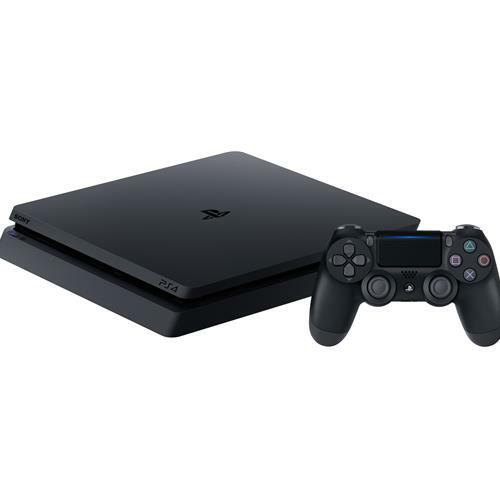 The Jet Black 500GB PS4. 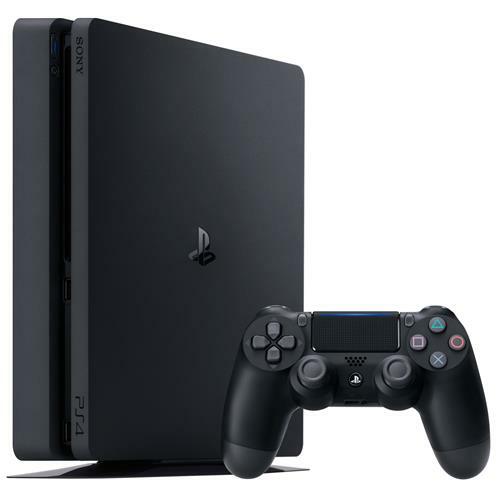 Two Jet Black DUALSHOCK 4 Wireless Controllers. 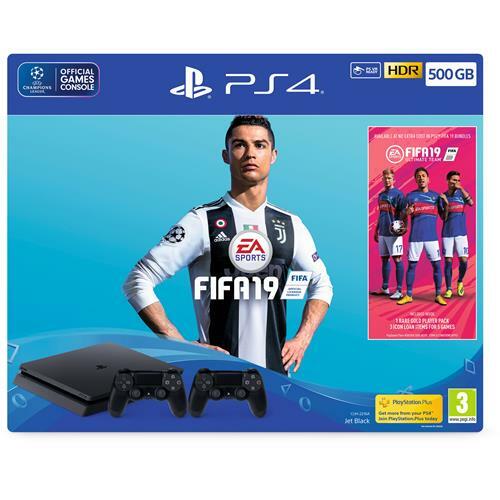 A Blu-ray Disc copy of FIFA 19. Three FIFA Ultimate Team ICON loan players on a five-match loan period. One FIFA Ultimate Team Rare Players Pack.